HOW FAR CAN YOU GO ON A ROCKING HORSE? Nine year-old Jeshua David, known to all his family and friends simply as JD, lives in Davao City, the Philippines. One day he comes across a sad looking rocking horse abandoned in a roadside ditch. Though the toy is badly broken, he persuades his grandfather to take it home with them and repair it. Very soon the horse no longer looks sad, prompting JD to give it the name of Happy. But was finding Happy just a lucky accident? 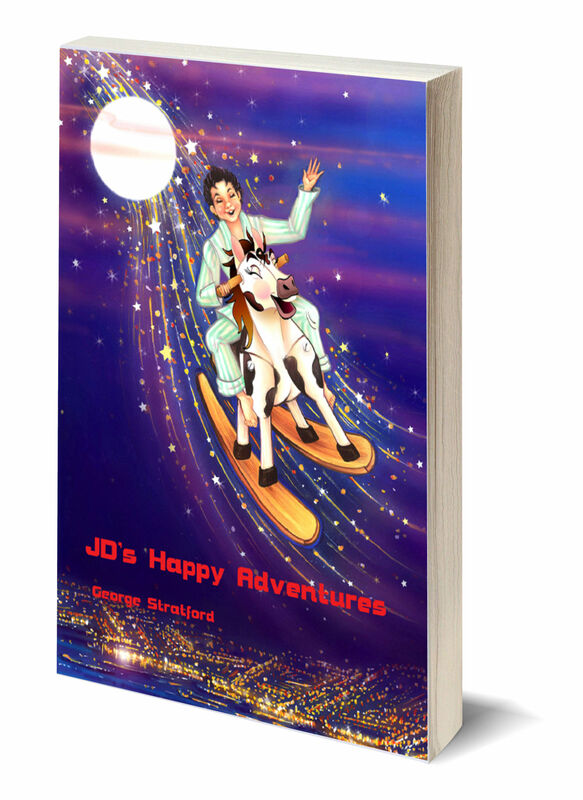 Magical things are happening, and the rocking horse is about to take JD to faraway places on a series of adventures much like those he has played countless times before on video games. However, video games had never felt this real and exciting. Nor, when victory is finally won, were they anything like so rewarding.